I greatly enjoyed presenting and sharing this conversation with the very fine educators of the Virginia Independent School Association. This post has only the slides and the videos associated with the slides (Most of which I didn’t have time to share– watch them now!). 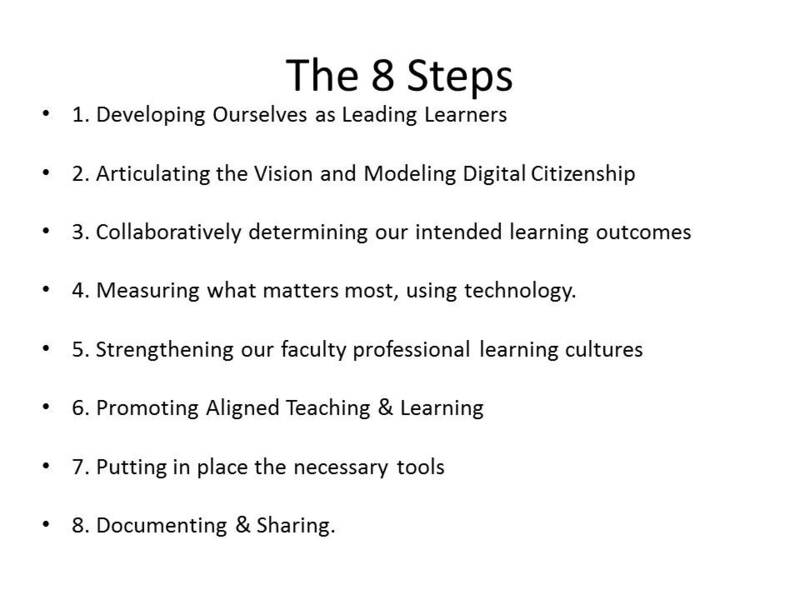 For a narrative version of an earlier version of this talk, click here to read my 2011 post, 7 Steps for Leading in 21st c. learning. My thanks and appreciation go to the fine VAIS staff and educators for welcoming me so warmly, especially Kim Failon and Simon Owen-Williams. Here are the 8 steps, loosely modeled on Covey’s Seven Habits of Highly Effective People. . Here, and after the “more,” are the associated videos: I’ve also provided at bottom a more detailed outline of these 8 steps. the Edleader21 video on the importance of 21st century learning leadership. Joining a formal network, such as Edleader 21. Measuring what matters most, using technology. Great to see ACDS’s iPad pilot and curriculum efforts acknowledged in this presentation. Thanks to Jonathan for reaching out to us!